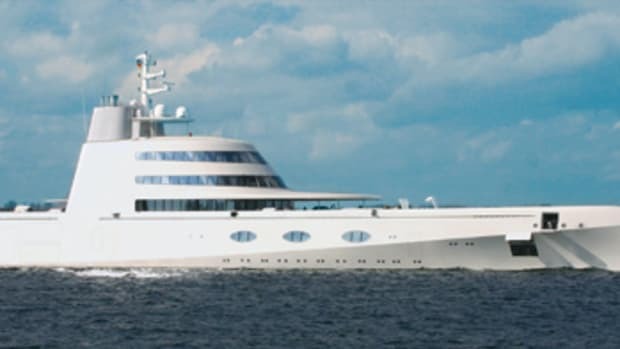 If there’s any doubt that people in general, not just regular readers like you, can’t get enough of these yachts, then here’s your proof: There’s a Turkish restaurant in London named after Savarona. 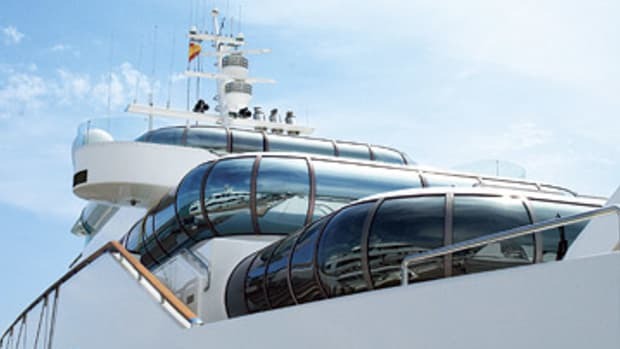 This lavish yacht has a 282-foot-long staircase, with a solid-brass balustrade, connecting her shelter deck (shaded aft deck) to her upper deck. Her nearly 39,000 square feet of alfresco areas are rivaled only by the more than 47,000 square feet of interior space, including a traditional hammam, or Turkish bath, made with 260 tons of marble. There’s even a hospital onboard. All this, including a splendid suite decorated with furnishings used by the late Turkish president Mustafa Kemal Atatrk, can be yours for a weekly charter rate of $385,000 in the Mediterranean.